Vitamin C3 for Business offers easy to swallow ideas for Entrepreneurs to build up their community and stimulate the long-term health of their business. 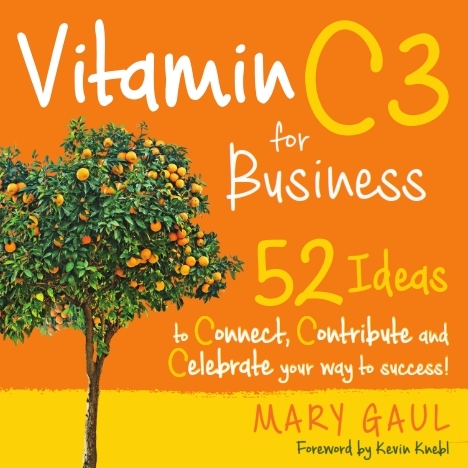 In Mary's wonderful book "Vitamin C3 for Business: 52 Ideas to Connect, Contribute and Celebrate your way to success!” Mary makes the seemingly complex very simple, understandable, and immediately implementable. The purpose of this book is to give the small business owner simple, easy to incorporate, and effective ideas to connect with your clients, make a contribution and celebrate within your business. In short, a boost of what I call Vitamin C3: Connect, Contribute, Celebrate. functionality. I’ve noticed, and the research shows that most business owners don’t get enough Vitamin C3: Connect, Contribute, Celebrate. A consistent dose of Vitamin C3 can help supplement the long term health of your small business! Ideas on how to Connect, Contribute and Celebrate are easily found as you flip through this handy book and choose what you want to implement. Come prepared. Do some research on who you are meeting, have questions and some conversation cues ready to go. Remember to listen more than you talk! Keep it real. Don’t set expectations that this person will hand you over a signed contract for business after your first or even second coffee. The point of these in person meetings is to build the Know, Like and Trust factor. Timeline. Be respectful of the other person’s time. If you are hitting it off, but the agreed upon time is up, make sure you honor the time. End the coffee meeting with a next step – following up by email, attending an event, or the next cup of coffee. Resources include: list templates, phone scripts, email templates and more! Listen to the VitaminC3 podcast to get new ideas on implementing more Vitamin C3 into your business and life. Mary has fun interviewing business owners and others, getting them share their experiences implementing Connection, Contribution and Celebration. Available online where your favorite podcasts can be found: Itunes, Stitcher and Libsyn. If you are interested in having Mary come and speak to your group about the importance of Vitamin C3, please contact her today. These presentations can be formatted into 20, 30 or 1 hour long presentations. Vitamin C3 for Business: Why businesses fail, how Vitamin C3: Connect, Contribute and Celebrate can help. Watch Mary give this speech here. Courage, Risk and Rewards- Are you a risk taker? How do you evaluate risk vs. reward? How to stop the paralyzing fear of risk that holds us back and focus on the courage to take the risk and the rewards gained. The Pinnacle Success System - This overview of the Pinnacle Success System™ teaches entrepreneurs how to substantially increase earnings while substantially decreasing the time – and to enjoy the journey significantly more. We do this by asking entrepreneurs counter-intuitive questions leading to AND rather than the often false beliefs of OR. Speaker. Author. Coach. Leader. Community Builder. 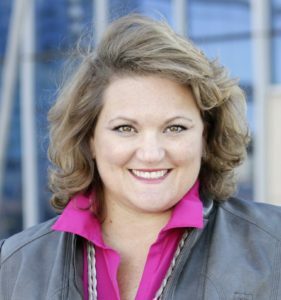 The Mary Gaul, has over 25 years of experience in Communications, Administration, and Marketing for both international companies and locally owned businesses. She now uses this background to help Entrepreneurs tackle obstacles and expand what is possible.